Ordering numbers with decimals. Place value. 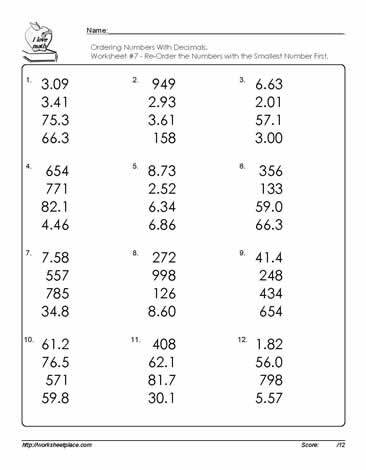 5th grade math worksheets.